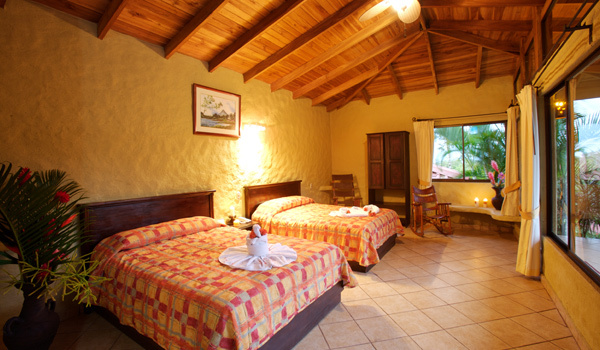 Arenal Volcano Inn is located 6.5 kilometers north of the Catholic Church in the town of La Fortuna. 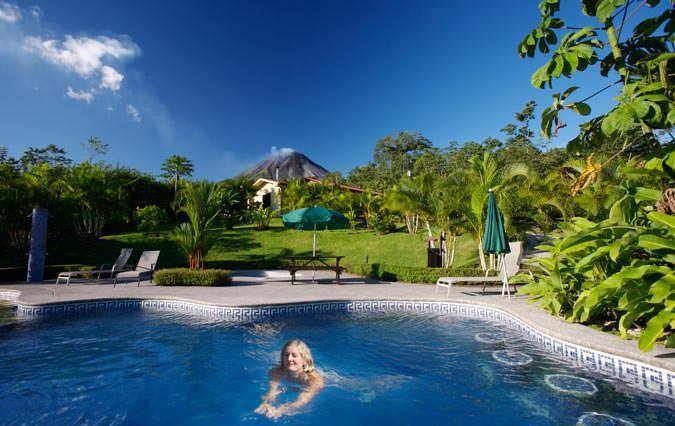 The hotel has 15 rooms all with excellent views of the Arenal Volcano. Each of the rooms has two queen-sized beds, air conditioning, mini refrigerator, small breakfast counter and a private terrace facing the volcano. There is also one Jacuzzi Suite, with two queen-sized beds, air conditioning, mini refrigerator, breakfast counter, microwave oven and coffee maker. The “Que Rico Arenal” restaurant on the premises is also open for lunch and dinner and offers a great variety of options prepared by their very respected Chef. There is also free Internet service at the lobby and wi-fi service at the restaurant and lobby. 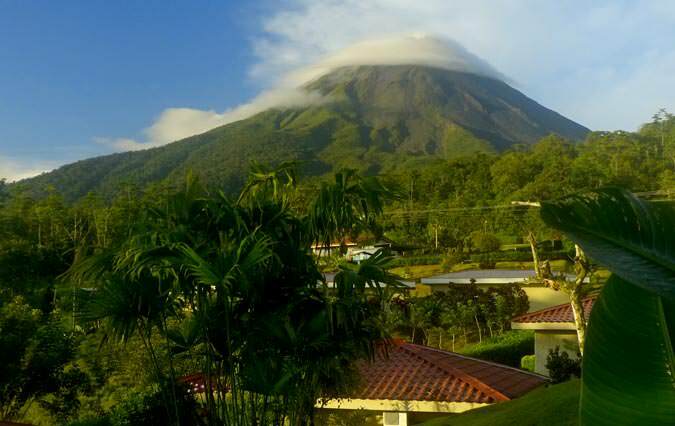 The community of La Fortuna, is located in the valley of the Arenal volcano and is the closest town to the Arenal volcano. The climate is mostly warm and humid and the temperature is usually between 77 and 86 degrees Fahrenheit, supported by a pleasantly moderate breeze. The months between November and January is a little cooler and the temperature varies between 73 and 77 degrees Fahrenheit.